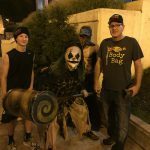 Now in its 15th season, The Basement of the Dead Haunted House has long been considered to be one of the top haunted attractions in the entire Chicagoland area and we strongly agree that it is one of the very best around. The haunt takes place in an actual basement giving it an authentically dark and sinister feel. 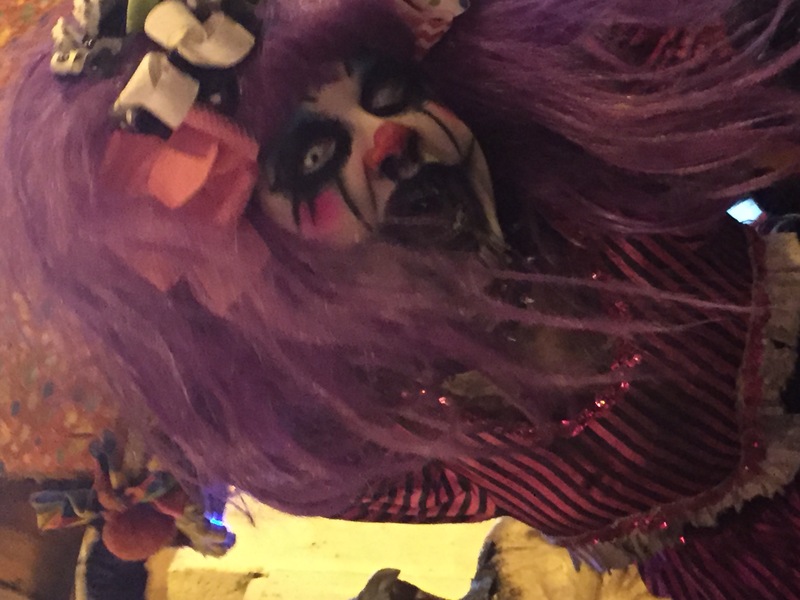 They offer two separate attractions, the namesake haunted house and “Shattered 3D Nightmare.” This is not an attraction for the timid, BotD is dark, loud, and absolutely terrifying! 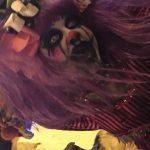 One great feature is that in addition to the haunts, there is also a 5-minute escape room challenge and Zombie Containment Laser Tag, so one could really make a night of it here. BotD can have anywhere from 80 – 100 actors on any given night and believe us when we tell you that they are a very entertaining bunch! We felt the size of the cast was just about perfect for the length of the attraction. We didn’t encounter any “dead spaces” whatsoever, as each and every scene had at least one actor and oftentimes several of them. This menacing cast of character’s attacked from all directions, including above us! There were a good number of characters who interacted with us, directly involving our group into the scene. We did not come across anyone who broke character or who used inferior dialogue. Much of the dialogue used was quite effective and unique, with the entire cast speaking their lines convincingly. It seemed to us that the cast as a whole had a lot of energy as we noticed many characters running around a breakneck pace. We also loved how many of the actors would get so close we could feel their breath on our faces. Overall we felt BotD had an excellent cast this season and we feel they play a huge role in making this attraction special. BotD has a large cast of characters that are brought to life with top-notch costuming and makeup effects. Everything looked complete, believable, and appropriate for their character’s role. We noticed elaborate touches like colored contact lenses, hair applications, professional quality makeup work including prosthetics, Hollywood quality masks, and attire that appeared to be custom made for their characters. Nothing appeared out of place with everything appearing appropriate for their character’s role. While some of the creations were more elaborate than others, all of the performers had at least adequate cosmetic attention. It is a good idea to understand the parking situation and the location of the entrance to the haunt, otherwise, BotD can be a bit tricky to navigate. The easiest way to park is in the adjacent parking garage, but the garage charges $10 for that privilege. There are also several free parking lots and street parking within a reasonable distance. We recommend looking over your options on a map beforehand and knowing exactly where the entrance is located. Once you find the entrance the setup on a plaza is really well thought out. There is everything you could want; concessions, restrooms, a stand selling apparel, not to mention all of the fun entertainment provided by the DJ and actors. The staff here are some of the friendliest and most professional individuals you are likely to meet. They were are quite knowledgeable and we found them to be extremely helpful with making our experience a great one. As soon as we parked our car at the adjacent garage we heard loud music with lots of people talking, laughing and screaming in the background. The entrance and queue line are both located on a plaza adjacent to the Fox River, which made for a unique setting. There was a DJ spinning dance club favorites and lots of characters interacting with the crowd. Everyone seemed to be having a really good time with a large percentage of the crowd singing and dancing to the music. It was quite a memorable scene, very festive with a really fun atmosphere. The effects were certainly one of the highlights of our tour. Scenes were absolutely so beautifully detailed we truly felt that what we were seeing was real. We came across several highly creative scenes like the mirror room that had a dizzying surprise and the brilliant, padded hallway that forced us to alter our course. 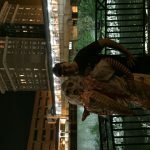 While BotD doesn’t rely heavily on animatronic aggressors to induce scares, we did see some pretty impressive creations nonetheless…better hope no one in your group is an arachnophobe! We heard many effective sounds and especially enjoyed the different soundtracks, such as the eerie religious chants and the intense heavy metal music that was cranked up so loud we could feel it pounding in our chests. The lighting, for the most part, was excellent, it had a distinct dim and dark look that gave it a very creepy feel. A couple scenes could have benefited with some additional lighting so that we could more easily see the details of the sets. The background behind each attraction can be found on their website but we did not notice a storyline that was being followed throughout. 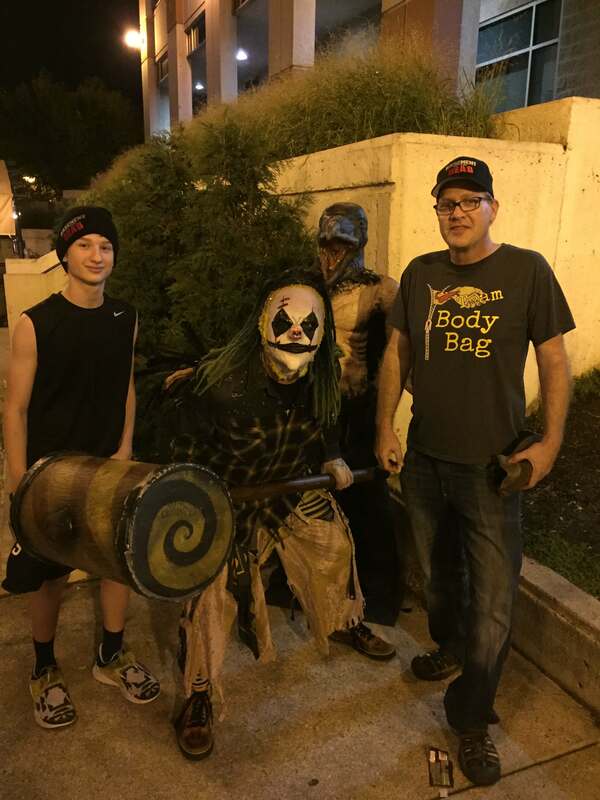 We found BotD to be one of the more intense attractions in the greater Chicagoland area, as well as one of the loudest. Some of the scare techniques used here include creepy followers (actors), environmental startles, a loud intense soundtrack, intimidating dialogue, entrapment and several well-timed “pop” scares. The actors themselves delivered the majority of the scares with their in-your-face style of acting and honestly, for a no-touch haunt, they were pretty darn intense. There was a really dark section of the haunt that was pretty much devoid of any lighting at all and in it, we endured a terrifying barrage of air cannons that had us cursing in fear like two foul-mouthed school kids! We absolutely loved the characters who were masters at running at us full force, then stopping on a dime, just in time, as to not make contact with us. 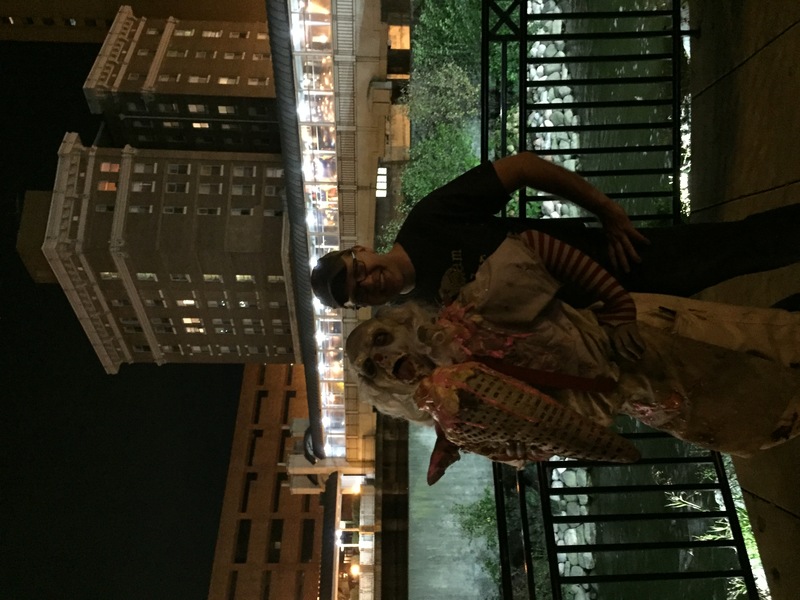 These guys gave us some of the most exciting frights of our tour. General admission is priced at $25 and VIP admission $45. If you are short on time we highly recommend that you splurge for the VIP option on busier nights when the wait can be upwards of several hours. If time isn’t of the essence then the General Admission can be a great way to go even if the lines are long because BotD has one of the most entertaining queue lines this review team has ever encountered. It took our group 23 minutes to complete our tour for a MPD (minute per dollar) score of .92. They made great use of the available space and change nearly half of the attraction each season. We felt BotD was very much worth the cost of admission as the entertainment provided is outstanding. There are also escape rooms and zombie laser tag available so this is a great place for an entire evening of entertainment. BotD is also known for their off-season events during Christmas and Valentines and you can bet this review group will be back to check those out!